Homeowners and businesses alike usually have their own unique reasons as to why they require fencing. It could be to keep your pets within the perimeter of your home. Some will want it for privacy purposes especially from the adjacent traffic. Others simply want to add beauty to their home. A good number of us could also want one to improve the safety around their pool. Well, regardless of your reason, there’s one type of fence that does it well: aluminum fences. Above all else, aluminum fencing also adds value to your property. Compared to other known fencing options, it’s relatively cheaper and comes in a variety of options and styles to match your taste. Aluminum fences can survive almost any type of weather. This is because they are resistant to moisture meaning all the threats that could arise as a result of moisture penetration are not to be expected when you have this type of fencing installed. On top of that, the fence will remain steady for years and never change its size or structure under extreme weather conditions. Aluminum comes coated with a special natural powder that helps to protect its paint. Thanks to this coat, you will not end up having to repaint the fence regularly as you would other fencing options that fade off quickly especially under extreme conditions. 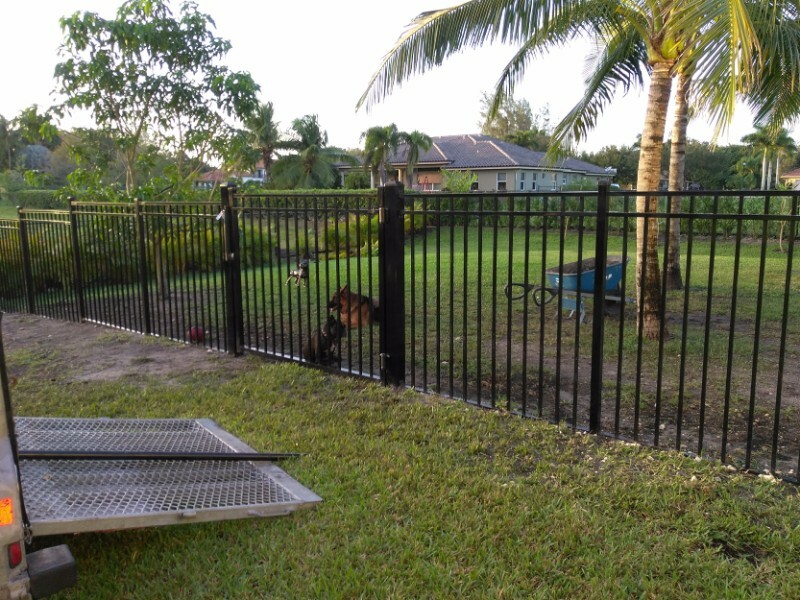 If you have a massive space you want fenced, an aluminum fence makes for a great option for the following reasons. First, you don’t have to paint or stain it and this is going to keep expenses down. Second, it’s lighter hence easy to transport and install. Something else worth mentioning is that the pickets on this type of fence are usually welded into the frame of the gate, Thisprotects it against sagging and gives the fence a more rigid feel. What makes aluminum fences really unique is that they come in different styles, colors, designs, and heights. A picket fence, for instance, is the most preferred choice for homeowners. They resemble the old country-type wooden fence with pickets. If you intend to put up a large fence, the colonial styles which feature a rounded railing over the pickets are a popular option. You can as well order for the industrial grade aluminum which is basically the type you see in restaurants, shopping malls. You can have the fence designed based on your desires. Those for pools are created with safety as the primary consideration. This means there’s extra focus on height, the gauge of metal, latch reliability and type, amongst other factors. You can as well add accessories such as scrolls, latches, posts, ball caps, finials and many others that are made out of rust-free aluminum just to add some uniqueness and beauty to your fencing style. 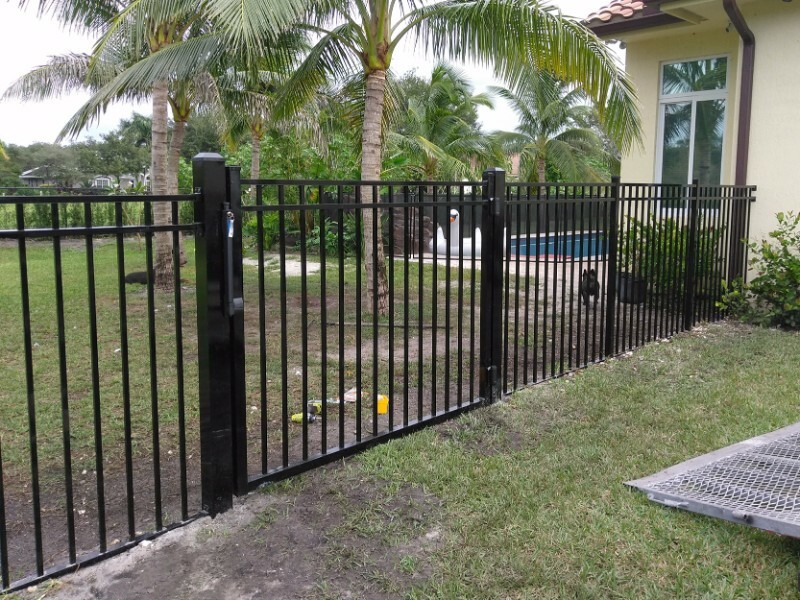 A well-designed aluminum fence has the capacity to improve the appearance of your property or pool or whatever other place you have installed it yet still be able to serve its practical purposes. 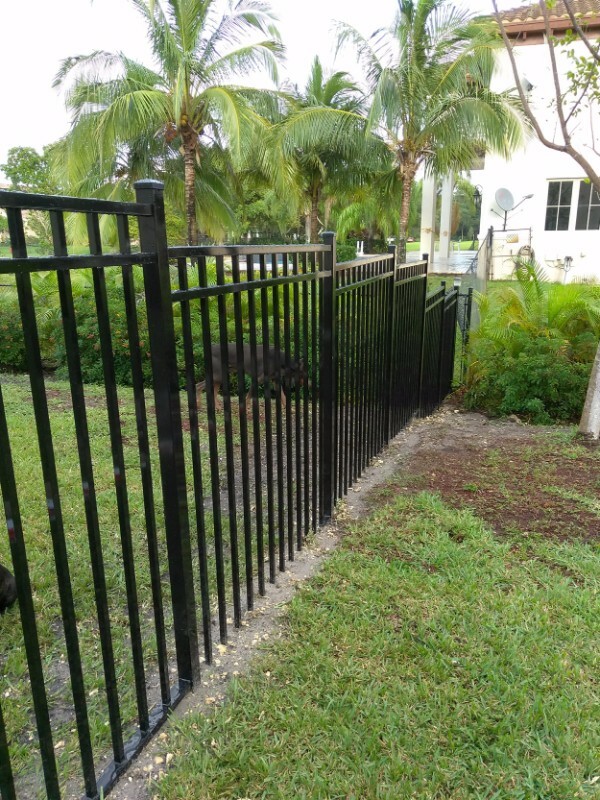 At Broward County Fence we are committed to offering multiple varieties of high-quality aluminum fencing styles and proper installation. Don’t hesitate to give us a call as we look forward to talking to you.